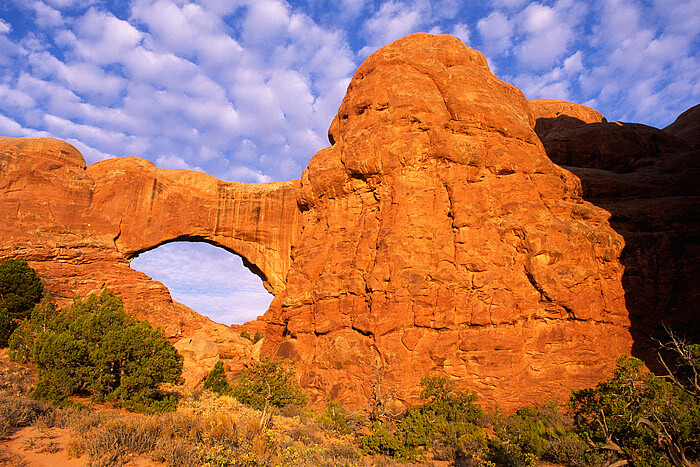 North Window arch at Sunrise. Finding clouds in Utah can be a challage some days. Luck was on my side this morning and I was able to photograph this scene with both the early morning light, and nice cloud formations. Photo © copyright by Thomas Mangan.